Home Marijuana Seeds Blue Dream strain review! Learn all about Blue Dream weed! Blue Dream is also known as Azure Haze. It is very difficult to tell its origin as its history has been wiped from many books, in which it was described with a lot of information. This strain is grown in California with three flavors. Blue Dream is very popular in California’s strains. It has become the leading seller in Colorado and Washington. It is very easy to grow in respect of other strains and produces a good yield. This plant is powdery mildew resistant. Blue Dream is mostly grown in Portland, San Francisco, Los Angeles, Toronto, Las Vegas and Denver, and can be grown from home with a good weed growing kit. If you have to buy this sativa, you can take this from any quality holder dispensary. 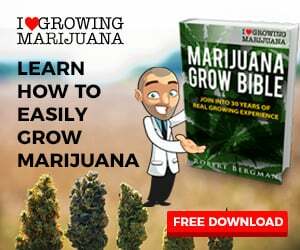 This marijuana plant can be grown very easily, if you want to grow. It takes a medium work load. The plant is 30 to 78 inch long. Normally, flowering starts in 7 to 9 weeks, and hardly takes less than 12 weeks. Blue Dream is 100% stretchable and can be stretched up to 200%. To cultivate Blue Dream, late September or early October is the right time It take approximately 10 weeks for indoor cultivation. 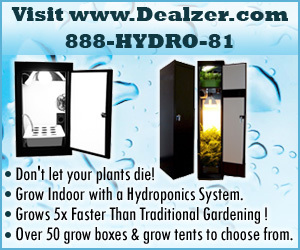 It yields a great quantity around twenty-one ounces per plant. As we have discussed earlier, its history has been deleted from popular books which have its lot of description. But, it is found in California with a large variety of its flavors. Still, we can’t consider California as its originating point. Blueberry and Haze are known as the parents of Blue Dream. It is hybrid strain as Blueberry is of Indica strain and haze is of Sativa strain. Blue Dream is known to be the sativa-dominant strain. Blue Dream is the most popular strain among all the cannabis strains as it has widespread availability and is very effective strain. If you want to grow Blue Dream, that is a great idea. It is very easy to cultivate and gives very effective results. It can be grown in every climate but handles low temperatures well Ideal temperature ranges from 65-85 degrees Fahrenheit. Blue Dream in California has grown outdoors, but it can be planted in both- indoor and outdoor. This strain take high levels of nitrogen gas and requires heavy feeding. Blue Dream relaxes your full-body with its super power buds. It has high THC range, starting from 17% at low and 24% at high. The CBD and CBS level are found in a very little amount i.e. 2% and 1% respectively. Blueberry and Sweet flavors are long lasting. When taken in a small amount, Blue Dream generally relaxes your body upto 80%, and makes you feel happy with its 100% effectiveness. On the same level, when you use to take it continuously, it increases your stress and depression level higher than when you were not addicted to Blue Dream. As it makes you feel rel. and happy, it also has some negative points. It makes your eyes and mouth dry. You become anxious at very little things. But when you take a little amount of Blue Dream, you again feel happy and relax ,if you are an anxiety disordered person, you are strongly recommended not to use this strain. It is very beneficial for those who are suffering from depression, fatigue and stress. The taste of Blue Dream is mostly based upon its flavors. If you are taking a blueberry flavour, you are going to take the taste of a cheap vodka. Although everyone is not going to take care of its taste, they smoke it for finding a relaxation time for themselves. Sweet Blue Dream gives a very decent taste and makes your mood happier than before. It gives the taste with the hint of blueberry and Sweet is very popular among all of its flavors as well Based on reviews, it is concluded that it gives a slightly sweet and old vodka taste. The users of this strain don’t care of its taste as it makes them happy and uplifted. A fixed amount of the strain can cure you in a positive manner and may help you in gaining your confidence. Blue Dream has no cases of cancer or emphysema, but It has a very bad addictive nature like cigarettes and alcohol. Blue Dream is considered as Sativa strain of cannabis. These types of strains are energetic and cerebral. It is mostly used for mental and psychological purposes. It has powerful and positive effects if taken in a limited amount under the guidance of a psychologist. The effects are more energizing, stimulating, uplifting and thought provoking. It increases audio and visual senses, as a result it increases the focus and creativity of the patient. It also supports immune system. This weed helps you feel relax and relieves pain. It acts as an expectorant. This cannabis type makes you happy and creative. This marijuana strain is mostly used in problems like anxiety, depression, pain, loss of appetite, nausea. It gives a very high relieve ability in fatigue behavior. It has positive effects like Euphoria, creativity, relax, energy and negative effects like dry mouth, dry eyes, paranoid and in some cases, it also increases anxiety of the patient. Blue Dream contains a balanced amount of terpenes, terpinolene, caryophyellene and myrcene. Using this strain motivates the patient and makes him believe in happy life. You can buy a fixed amount of this strain at any dispensary but, if you are looking for its seeds, you have to go for that location where it is mostly demanded or grown. Here are the few locations from where you can buy seeds to cultivate Blue Dream. Where to buy Blue Dream seeds online? 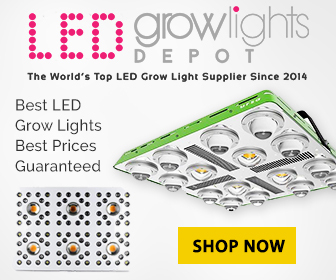 The Top online marijuana seed banks all sell Blue Dream seeds. I consider this strain excellent for my mental problems and suggest all the patients to take this strain in a limited amount as per your psychologist instructions. It makes my mood happy and I feel like a confident and motivated guy. Blue Dream is Numero Uno. It is an excellent strain if you are facing psychological and mental problems. It will reduce your stress, depression and fatigue. Honestly, !would prefer Blue Dream to all those peoples who are suffering from mental disorders. It will help you in uplifting and enjoying your life like normal peoples. Like other mental disorder patients. I was also suffering from these types of stuffs so I started taking Blue Dream strain in a little amount and it really works. I, yet became addicted to this strain but, took a regular small dose of Blue Dream. It really worked for me like a dream and increased my happiness and creativity level. Previous articlePineapple Express strain review! Learn all about Pineapple Express weed! Next articleOG Kush strain review! Learn all about OG Kush weed!